Charlton Heston leads an all-star cast in an epic film about ordinary citizens who must come together in the face of an unstoppable natural disaster! 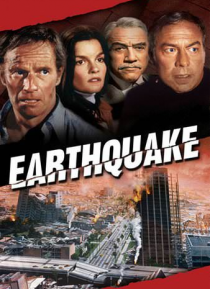 When the most catastrophic earthquake of all time rips through Southern California, it levels Los Angeles and sends shockwaves through the lives of all who live there. Now strangers must become heroes as the city struggles to get to its feet before t… he next terrifying aftershock hits!